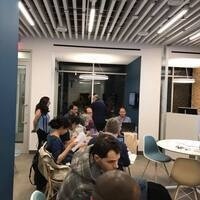 We are creating an interest group for people interested in the application of augmenting computational power, database storage, content delivery and machine learning to develop biomedical devices in the new MakerSpace. The goal is to spark collaboration and to gauge interest in future meetups/workshops. This will be a small, casual discussion in which all are encouraged to bring ideas on topics.